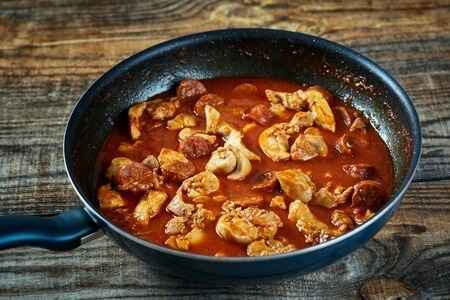 200g diced Chorizo sausage* (you can use ordinary sausages in which case you will need a little oil to stir-fry them). Heat a pan and stir-fry the chorizo for a couple of minutes – it will produce it’s own red flavour-some oil. Add the diced chicken breasts or thighs and continue to stir-fry for a further 5 minutes. 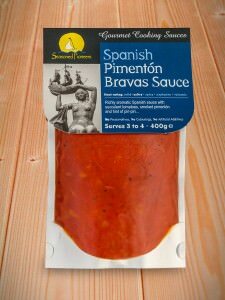 Stir in the Pimenton Bravas sauce and simmer until the chicken is cooked.